Bio: Mr. Hubery Yuan graduated from Tsinghua University’s Automation Department, and has formerly served as assistant director of Industrial Security Research Institution, general manager of TMT Research Center, chief analyst of computer & Internet industry, and has been awarded the New Fortune prize for Best Analyst for five consecutive years from 2013 to 2017. In March 2018 he joined Huobi China and was appointed as the Dean of Huobi Academy of Blockchain Application. 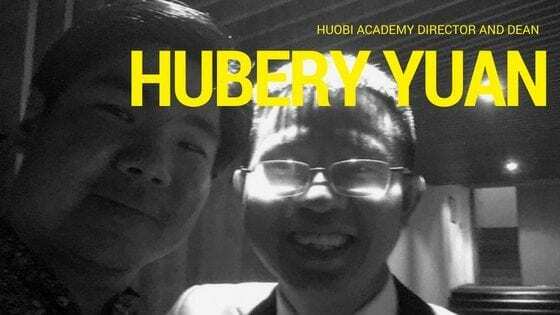 Connect with Hubery here on twitter. 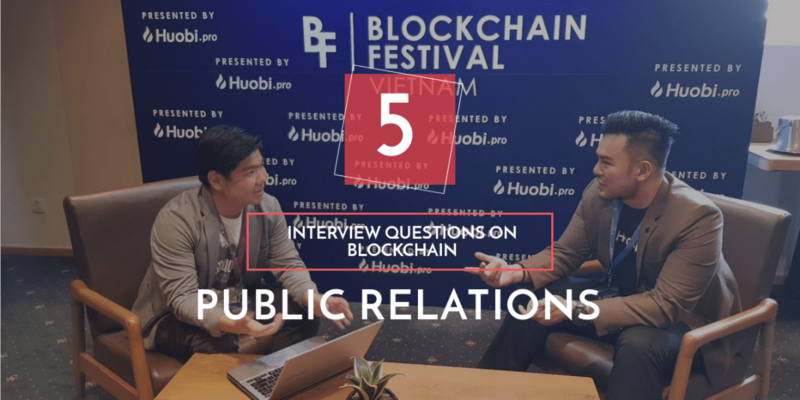 Q (Daniel Shen): What is the most impactful thing for Blockchain you have been impressed about? (Hubery Yuan) Blockchain is like the next internet. Imagine how much the internet has changed the world. As internet is very mature now, it seems everything will stay constant for a long time. But through Blockchain, I can see a different future. Many things will change greatly – just like internet as changed the world. The beginning of internet started in 1960s when Advanced Research Project Agency Network was created. The growth of internet later continued in the 1970s after Transmission Control Protocol and Internet Protocol was developed by Robert Khan. This is the communication model which set the standards for the transmission of data between multiple networks. Later in 1990, the online world took on a more recognizable form when the World Wide Web was invented by Tim Berners-Lee. The government had earlier attempted various plans to regulate the internet because of various negative uses such as adult content, fraud etc. But was not successful. Q: What is the biggest adoption problem? The biggest adoption problem is for regular common users to use the wallet. Especially a cold wallet. This is an even bigger problem for older people. Currently, wallets are simply not as easy as Internet. There are two kinds of wallet, the cold and hot wallet, the cold wallet is mainly used for long term use while hot wallet is used for temporary storage. The hot wallet is relatively insecure because it is susceptible to hacking. However, cold storage is not online and cannot be hacked digitally. Example of cold storage includes paper wallet, hardware wallets as well as offline computers with the aid of software wallets. Paper wallet is the best of the three. But some of the biggest problems of this wallet type include  stealing of wallet addresses when seen  Bad handwriting  human error when writing addresses  damage of paper as a result of fire, rotting etc. Q: What is Huobi Academy’s approach to education? We will publish reports, give lectures, training, make videos, write materials and videos to teach other people on Blockchain. The content will be focused on how to learn and how to combine business with Blockchain technology. Blockchain as a topic is very wide and require an in-depth education so that everyone will know what it is and it’s not. The three major topics which are required for the education of blockchain are the origin of bitcoin, how does blockchain works? bitcoin investment and mining. The first proof of concept for Bitcoin technology was published in 2009 by an unknown individual with the pseudonym Satoshi Nakamoto. Till date his identity remains unknown. Q: What do you feel is the sentiment of the community, what do you like and do not like? I think the overall sentiment of the community is good. Many people have faith in Blockchain. Many have passion on this technology and believe in Blockchain. On the flip side, many just want money, don’t have faith and some lack principles. And worse, some bad things to harm other people. Several companies around the world have shown interest in blockchain technology because of the potentials they see in Bitcoin and Blockchain technology, this is also common to supply chain service provider. 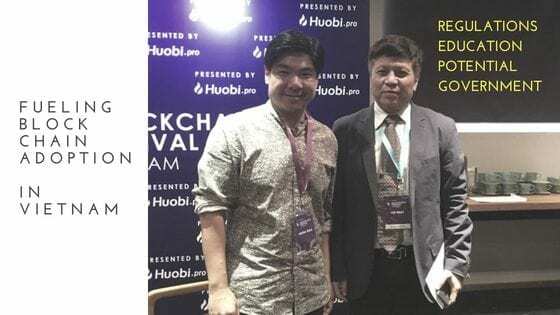 In China Huobi Labs acknowledges the potential for blockchain in the Asian region and thus created a new $1bn blockchain fund by teaming up with Tianya Community. The money will be used to fund startups and encourage the DLT industry to thrive in China. Huobi Labs is also set to move its headquarter to Hainan Coast (still in China) which is very close to its partner Tianya. Here, the development of Global Cultural and Creative Blockchain Lab would begin. The joint venture will later collaborate with universities to advance blockchain research. Blockchain adoption has also started to grow in Vietnam as the Ministry of Information and Technology has started to identify opportunities for this surging technology. Opening the event, Dr Dao highlights the direction the Prime Minister has voiced to race the country to prosperity. More details can be seen in an exclusive interview here. Q: What do you want to tell to Vietnamese readers? Blockchain is the future. It is next to Internet. Blockchain is a win-together mechanism for society.